When will be Ambulance next episode air date? Is Ambulance renewed or cancelled? 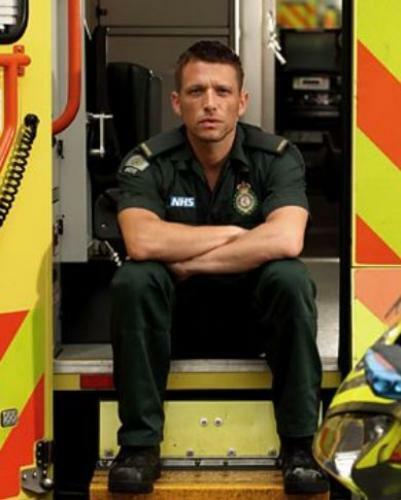 Where to countdown Ambulance air dates? Is Ambulance worth watching? Ambulance is an observational documentary series that brings an unprecedented insight into Britain's largest ambulance service, the London Ambulance Service. They need to be ready to help the 8.6 million people of London because when the most serious emergencies strike, they have only eight minutes to respond.With calls doubling in number over the past 10 years, the nerve centre of the service takes over 5000 calls a day and has to work out who needs an ambulance quickest, or whether they need one at all.With unprecedented access to the high pressured control room, as well as the crews out on the streets, each episode provides an honest 360 degree snapshot of the service, which was last year put into special measures. This takes the series beyond the flashing blue light stories, to reveal for the first time the dilemmas faced by those who allocate the ambulance - with only 400 ambulance crews on shift - as they have to bump patients down the queue to prioritise the sickest; the very real impact of time-wasters and frequent callers; and the ever-present threat that a major incident with multiple casualties is just a single 999 call away. During a 12-hour night shift with North West Ambulance Service, call handler Elly tackles an increasing volume of calls, and there are surprises for paramedics April and Clare. Call handler Joe faces his first unsupervised shift answering 999 calls on a busy night for the North West Ambulance Service. Ambulance next episode air date provides TVMaze for you. EpisoDate.com is your TV show guide to Countdown Ambulance Episode Air Dates and to stay in touch with Ambulance next episode Air Date and your others favorite TV Shows. Add the shows you like to a "Watchlist" and let the site take it from there.